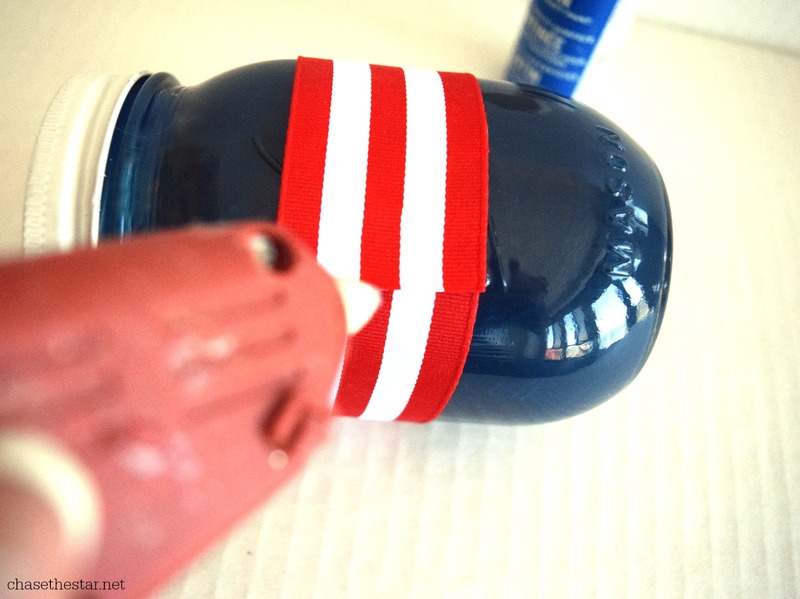 It’s not too late to fit in a quick and easy craft for the 4th of July. 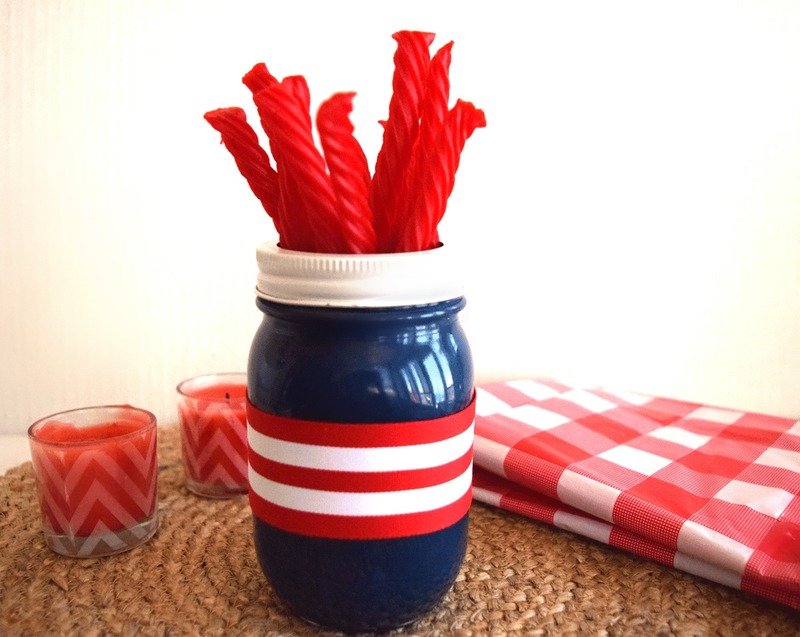 Whether you’re hosting or heading to another spot to celebrate, this Patriotic Treats Holder will be the perfect addition! Bonus: Your kids can help you whip up a bunch of these in no time! The 4th of July is the biggest holiday of the summer, it’s time to beam with patriotic pride! The entire country is excited and ready for fireworks! Kids in particular are ready to revel in this quintessential summer event, in fact some may say the kids are what makes this day so fun. Children love to help prep for the big day as well. They’re out of school and have plenty of time to get a little party planning going with Mom or Dad, especially when there’s candy involved! This year we made Patriotic Treat Holders for our dessert table. 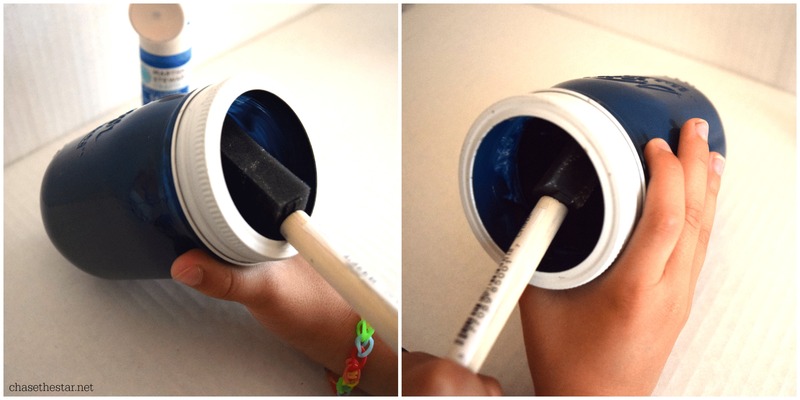 They couldn’t be easier to make, and I just know they’ll be a big hit with our guests, especially the kids! Once the jars are totally dry (overnight is best), line the bottoms with a folded paper towel and fill the jars with bright red licorice.